Do you do one cool thing every weekend? If not, Snook Chaipornvadee will convince you otherwise. Head out to One Cool Thing Every Weekend and experience cool activities, embark on unique and adventurous travel destinations, and jump into the world of wonders. Some words of encouragement straight from the blog – “No matter how overwhelming or heavy life is to you, try to make the time to enjoy yourself at least once a week. One cool thing every weekend shouldn’t be too hard to do!” My favorite – 9 Best Unusual Things To Do in Southern California. Here’s to another of my Absolute Must travel destinations in California. Joshua Tree is much more than the intriguing tree for which it’s named for, which isn’t even a tree but of species of yucca. It is a mecca for hikers, mountain climbers, campers and nature lovers. 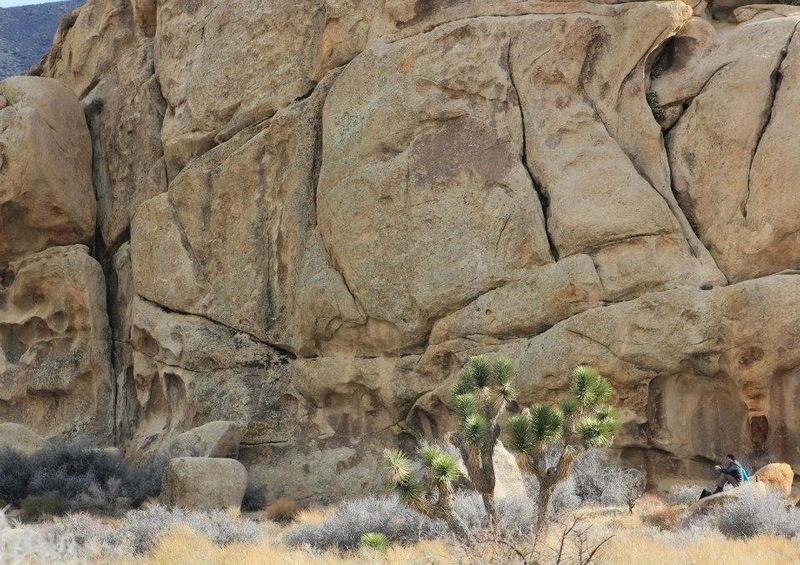 Because of its jumbo rocks, Joshua Tree becomes a most sound rock-climbing destination. Here’s the deal, Jessica Biel. Joshua Tree is an instant favorite of mine because of the many hiking trails for all ages. It’s just amazing when you can witness outdoorsy people, noobs or elite, all in front of you doing the same interests like you do. My favorite part of my time there, however, was when someone from cloud 9 1/2 decided to flick the switch into tungsten lighting in different areas of the park. It made the puzzles of rocks even more magnificent than they already are. So, who in this bizzar-o-world is this Joshua guy? And who piled up these rocks? Eons years ago, this part of the desert was once the habitat of this muscular giant named Joshua. He got so bored that he started to play Tetris using these rocks. That theory is based on the wild imagination of Rommel of The Sophomore Slump. Geologists and archeologists, with their glasses and brushes, disagreed. Their more boring explanation – result of volcanic activity. Pffft. Actually the Oasis Visitor Center has cool displays into how these piles of rocks uniquely came into form. And if you want to explore the entirety of it, a day cannot accommodate it. It’s okay, you can sleep under the stars as there are 6 campgrounds for individuals and groups. cool. I like rocks too! Thinking about where to go for a hike this weekend, I shall add this to the list of upcoming possibilities! Get there Connie! 😀 The blog I featured has lots of cool sites as well. 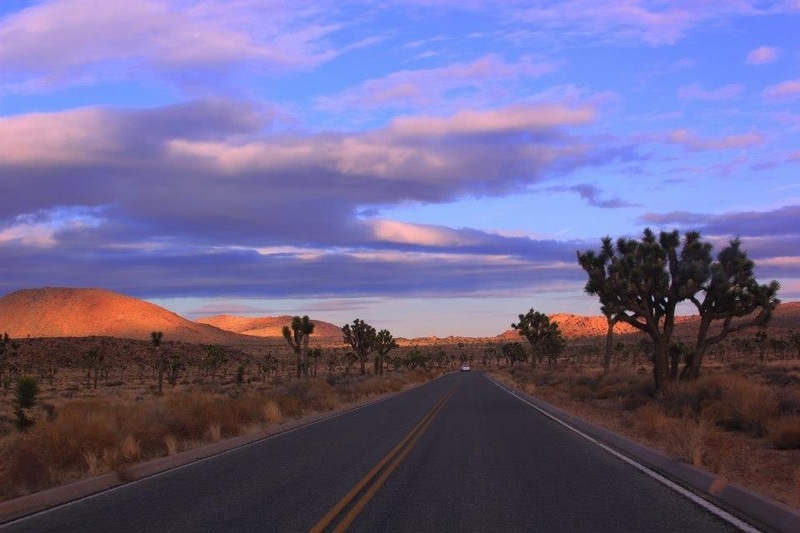 Big fan of Joshua Tree as well – much more into the landscape/mountains/rock formations than beaches and oceans as well. Looks like you had a good time. I remember your post about the Skull Rocks Trail. I sure had a great time. The moment I looked at the map and saw plenty of trails to choose from, I was static. I can’t wait to go back – it may not be until 2014 because the next time I take a work trip to LA I think I’m going to go North and do Yosemite/Kings Canyon but I know that I will be back. Sorry if I missed this on your blog – have you ever been to Death Valley? Any tips/pictures? Reply with a link to a post if you have – I think that could be late 2013 (second trip to LA) as I’ve heard good things and being from the Midwest I don’t see much of any mountains/deserts/coasts so when I come out that way I’m like a kid in a candy store and just want to do it all!!! I’ve always wanted to go there! Great post. Thanks Kevin. Always keep Joshua Tree National Park in mind. An absolute must! Massive, eh. Hopefully I get to Arizona too. So many spots there that I want to see. Oh thank you thank you, I thought I was going to California this year and did some travel research. Joshua Tree was my number one destination, but It isn’t going to happen now so your photos are a real treat! Beautiful photos, Rommel! Interesting that the last photo rock formation has crack lines in it like puzzle pieces put together as you said. Pretty huge rock compared with the little people you photographed with it. I wonder how the rocks got there and why they cracked the way they did. . . They don’t look like volcanic rock to me. The rock piles began underground eons ago as a resuly of volcanic activity. Magma -in this case a molten form of the rock called monzogranite – rose from deep within the Earth. As it rose, it intruded the overlying rock,the Pinto gneiss formation. I read about that, too. The nature of rock formation is very complex actually. Have you checked out Bryce Canyon, Zion Nat’l Park and Mt. Timpanogos in Utah? I went on hikes there and even went inside of Mt. Timpanogos where there were amazing sights to see! Some rock formations in China are said to have been pushed up from the ocean a long time ago and have coral and sea life fossils in them. I think you may be right about liking rocks more than the ocean, your fascination with them. As a former teacher and collector of sorts, I still have my rock collection from all of my travels. Plus shells picked up in PI, Israel, other places. . .
What a fabulous place…I want to go there. We are probably staying in San Diego next year for a couple of weeks…perhaps then. Thanks for the reblog. Cool! Amazing landscape. One of these days, my wife and I have to get down there. I also hope you do. You wont regret it. Hi! Beautiful shots, gorgeous place, amazing rocks…not much of a fan of rocks..but then again, I haven’t seen that many to know any better. I think I just might be on to something new and exciting here…lots of possibilities…it’s now on my to-do list to look for rock formations in Luzon…thanks for sharing this! I got some posts about Caramoan here. Lots of awesome rock formations there. What an unique and interesting rock. The nature is amazing. Me so so glad to cover at least one of your kind of extreme travel. I love the fact that you are doing some hiking…so cool! Next time we are in SD you will have to come down and go out kayaking with us. Ahihihi …. It’s not that. I listened to your stories about your kayak experience during our meet and it’s very inviting to do. I’m just less comfortable doing things in the water. Much more when I’m with someone I’m already shy to begin with. Ok, then hiking it is! BTW, given the gloomy day, how did your photos of Dana Point turn out? Is it just me or somehow, those big rocks looks so soft and fluffy in my eyes. Charming! I think so too. I was very sad when I left Italy. But now, I realized how awesome SoCal really is! Haven’t been there in years. Thanks for reawakening the memories. Hi Robert! This is my 6,000th comment. With that, you win one grain of sugar. 😀 What’s your address so I can deliver it to you? I’ve always wanted to go there. Great pics! This is definitely your type of adventure! Awesome! Any activity outside the door will do. It’s always good to get the kids involve outdoors and to nature. Love, love the theory of the the wild imagination of Rommel! 🙂 I’m surprised that your adoration to rock formations is far stronger than beach… though, I have seen your beach and ocean pics. Awesome shots! Hmmm… Maybe not far. I shall edit. Thanks for the heads up. I pitched in my theory but they just gave the crazy stares. hahaha…. I must yes to the boring explanations… places like this must have bits of info on each important areas. Anyway, I must say that your photography here is awesome. And I like rock formations too. Amazing pictures once again, ty for sharing! I prefer your version of the Giant playing Tetris better 🙂 Lovely photos Rommel! The next time I visit California, I’d love to visit the Joshua tree and its surrounding area, and do some rock climbing while I’m at it. You are one adventurous woman! lol on the tetris theory. But these rocks do look like they’ve been played on, I beg to disagree with them geologists hahaha. Truly, nature often has this peculiar way of surprising us. Cool! Have fun and safe travel. Will look forward to seeing it. Have you been to Caramoan? That’s the closest I know of in the Philippines with awesome rock formations. Great photos! You captured the beauty so well. We were talking about Joshua Tree this weekend, and presuming there was snow! And yes, I do take at least one day each weekend to have some fun out on the road. I love rock formations, too. I’m eager to go up 395 again–but I’ll wait until the snow is gone! I’m not fond of winter. 🙂 Great post, Rommel. You and I both. I was glad the weather was so-and-so when I was there. I don’t like extreme cold and extreme heat. In case you do go to Joshua Tree. There’s a place in 29 Palms where there’s an outdoor movie theater. You park your car and watch. 😀 Good when the day is done and nothing to do at night. 😉 Just thought you might be interested. Nature’s sculpted Art at its best. Beautiful pictures my friend. I wish one day I get to revisit California and see all this awesome places in person. I have hiked there a few times and will go back again and again. Amazing photos!!! Where in LA do you live anyways? It is so funny seeing all your posts in your blog because I frequent the same places and if I haven’t been there it is definitely on my list!!! I’m from Ventura. Yes, it’s a cool thing. Blogposts largely affect my travel plans. I agree!!! Traveling and finding things to blog about is definitely high on my list of what determines where I end up!!! I know about the Gorge only. Never been to both. But I’ll keep those in kind. We have some basalt formations here somehwhere or to neighbor state. Those rock photos R.O.C.K.! 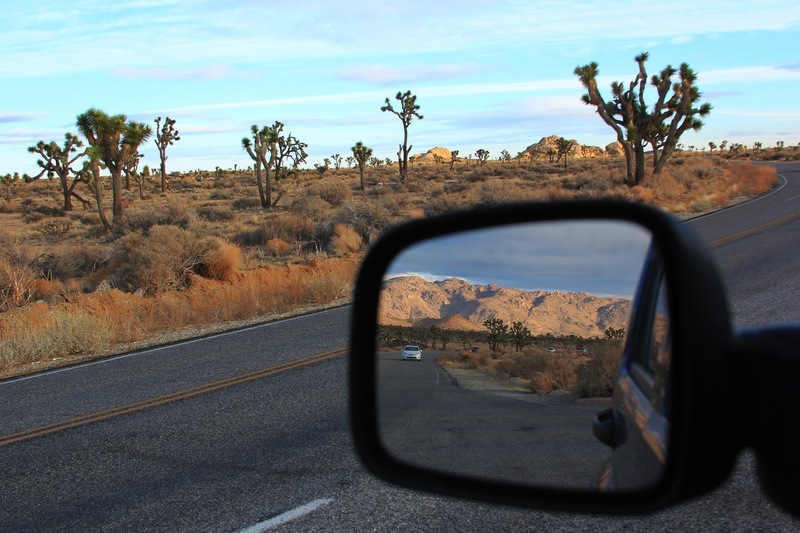 Great posts like this make me want to go there…and I just got back from Anza Borrego a couple of weeks ago. I have to admit, my attention perked-up a bit when you wrote of the rocks turning to puzzles. Puzzles, perhaps you know, are what bouldering folk call routes. Yes, magnificent puzzles of rock indeed! Anza Borrego is very close on my list. I’ll get there someday for sure. Thanks for the comment and visit. The sky in that first picture is just awesome. I’ve been wanting to visit Joshua Tree forever! Then I read the Keith Richards biography and saw the bit about Gram Parsons overdosing out at Joshua Tree and that was sad. Thanks for sharing. What’s the relation for Keith Rochards? Joshua Tree is one of my most recommended. Gram Parsons and Keith Richards became friends. Gram was really gifted, super bright. Drugs got him. Joshua Tree was Gram’s favorite place. His friends stole his body from the airport, LAX, and tried to cremate his body themselves, out at Joshua Tree. Was illegal but they were trying to do what he wanted, to have his remains scattered there. So poetic!!! Sorry, I meant the sky in the 3rd picture was awesome. Anyway, rocks and skies and trees there are all rock stars! ‘Magnificent’ seems like an understatement! The itsy bitsy people people in the last one gives a sense of their humongous scale! Thanks for the comment and visit, abusymom. Maganda! I’ve not made it to Joshua yet; one of the few out west I’ ve not visited. As another commenter said, the parks in south Utah are magnificent, especially Arches and Bryce. You will understand the naming of the site (dito na)! Love that place, enjoyed seeing the pictures! Love your brilliant photography! I have been to Joshua Tree Park, and just love it, you captured it beautifully.